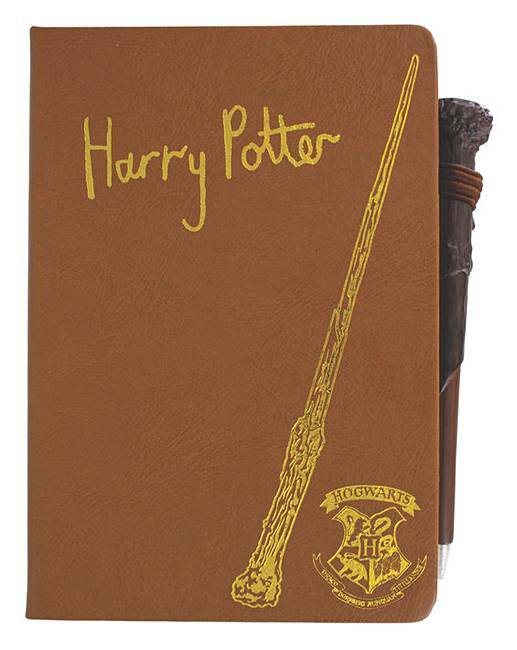 Harry Potter Notebook and Wand Pen is rated 5.0 out of 5 by 4. Set includes a notebook and a wand pen. Official Harry Potter product. Rated 5 out of 5 by Fraggle from This notebook will please Potter fans What's not to like for Harry Potter fans? Good looking notebook with cleverly designed pen.